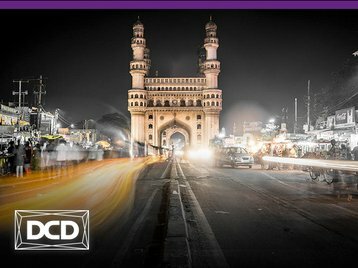 Over 300 data center and cloud infrastructure professionals will be attending the 2nd edition of DCD>Focus on Hyderabad, a regional event delivered with DCD’s global content partner, and endorsed by the Government of Telangana, The Uptime Institute. Experts will gather at the Westin Mindspace on April 26 to discuss how IT transformation is reshaping enterprise data center design and architecture in Telangana. The Indian data center market is expected to reach US$ 4.5 billion by 2018 and is well poised to reach $7 billion by 2020 at a growth rate of 23 percent, owing to major investments in data center infrastructure business by various companies. The state of Telangana has played a crucial role in the emergence of India as the second fastest growing data center market in the APAC region. Hyderabad has become known as “Cyberabad”, standing as a leader in embracing advanced technologies. The conference will examine the Government of Telangana’s efforts to develop data center and cloud infrastructure, in a five year plan which has led to collaboration with foreign governments, universtities and industries. “The data center and cloud community in Telangana is trying to make the most of the opportunities created by its Government and emerging technological advancements. However, they also face challenges around security, and justifying ROI while trying to keep pace with the ever-evolving digital landscape”, says Tom Winter, managing director APAC, DatacenterDynamics. “Considering this, we are providing a platform which will bring together the various stakeholders including data center, colo and cloud operators, technology experts and end-users, to discuss strategies to overcome key challenges and take advantage of the opportunities that lie ahead in Telangana’s digital transformation journey”.